Ohio Paving & Construction has served a vast clientele in the greater Cleveland area, including commercial property owners, site developers, municipalities, new churches, and expanding businesses who need larger parking lots to accommodate a growing workforce. Building a new parking lot can be a lengthy process, and for public institutions or large corporations, usually requires a bid. You can submit a bid package through our website, talk to an estimator, or download the bid request form to be sent at your convenience. 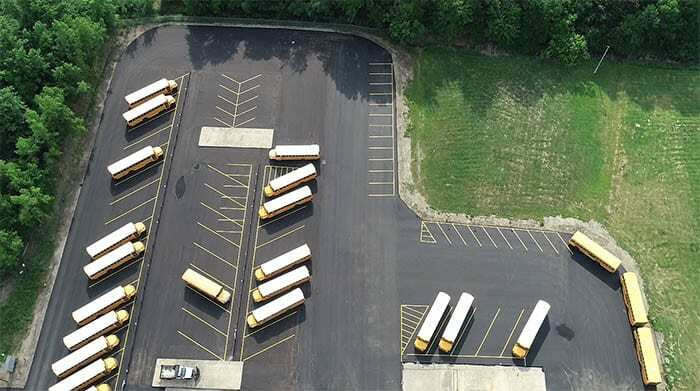 A new asphalt parking lot developed for the Willoughby-Eastlake Public Schools bus garage. Effort necessary to clear the land for the proposed site work. The expected net weight of passing traffic through each area. The expected net weight of sitting traffic during business hours. Whether or not the paving crew must work under a union contract and be paid the prevailing wage. The depth of stone, base and asphalt desired for the final project (dependent on the weight of passing traffic). The submission of change orders during the process of building. The kind of storm water management system that is to be installed. (An above-ground detention pond can take up to 30% of the total paving surface area). Hardscaping and landscaping requirements for the finished product. 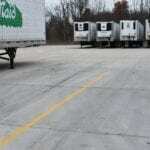 Whether or not the paving company also designed the parking lot layout. Quality of soil beneath the proposed construction site. A choice between asphalt and concrete. After every consideration is given a dollar value, the paving company on the project can provide an estimate. Generally, new parking lot construction or expansion costs from Cleveland paving contractors will fall between $4-$10 per square foot. 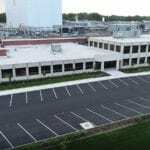 Ohio Paving & Construction is capable of designing parking lots, too. Our in-house design engineers can build the blueprints necessary to take an untamed piece of land and deliver you a brand new parking lot designed to last. That’s why we’ve been trusted by companies like Nestle to do exactly that.